Many times I have had conversations with folks about the many denominations that claim to be Christian. Each time a statement is made along the lines of “Well, no church is perfect”; as if we shouldn’t worry about the state of things as they are. The underlying idea is that things should go along as they are until our Christ returns and He will sort things out then. But is this true? Does Scripture bear this out as truth or is it a lie given to us by Satan to deceive us? Is it wrong to be the “doctrine police”? An assembly of called out people. And what are we called out of? Isn’t it the world? To not follow the ways of the world? If we who are of Christ are to be the salt of the earth and a light to the world, then aren’t we supposed to stand in His truth? If we don’t stand in His truth, who will? He who does the truth comes to the light. Amen Glory and Halleluja! So then if our Christ has spoken in this manner is it not yet clear that it matters how we come together in His name? If you further study I Corinthians and II Corinthians, the apostle Paul wrote extensively how to come together in His name. I would challenge you to study and prove out those books. Furthermore, let’s look at more Scripture that calls us to follow truth. So then let us go forward in the perfection of Christ without division in grace and mercy towards one another. Exhorting each another in His perfection and not our own by the blood of Christ Jesus. Pray and ask Him for a heart of truth so that you will not be decieved in this last hour and fall away into darkness. Folks, your very eternity counts on knowing and following the one you claim to follow. Hell fire awaits those who are not of His fold. 4 Responses to No Church is Perfect? Good write Brother Al. As has been said ad nauseum, it is easier for our flesh to adopt/adapt to the “school of fish” mentality which caters to that “fear of man”. If everyone is doing it, there must be truth in multitudes right!? Praise be to Christ that he confounds such nonsense. Amen to The Truth, OUR King Who Is! Our King’s Grace and Blessings upon you as well brother. It’s easy to swim in the school. But to swim against the current, is rewarding in Him. Let us all be encouraged in our Christ! Thanks Al. Very well said. In reading your article I am reminded yet again of all the passages of NT Scripture that are rarely or never preached/taught, but it’s all there. Due to the fact that most professing Christians really don’t care about the reality of NT Truth it is no wonder that much separation is always inevitable in that the more Truth we gain the more we distance ourselves from those who have no love for it. 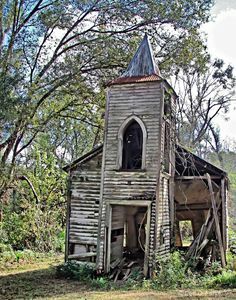 If someone says there is no perfect church he is making an incorrect conclusion that could be applied to anything and only adds to the climate of indifference. The actual Greek word for perfect, as you know, means completeness or maturity. Can there not then be a mature group of Christians who know the Truth and embrace the fullness of the Lord’s teachings? This is in fact what we must strive for. It is a vital part of our discipleship. Amen brother so true. There have been many the Lord has placed me in front of to proclaim these truths. Even when I point to Scripture it is rejected. Yet I still pray for them and continue on the path with or without others. Thank you for the encouragement as I encourage you as well. God Bless!